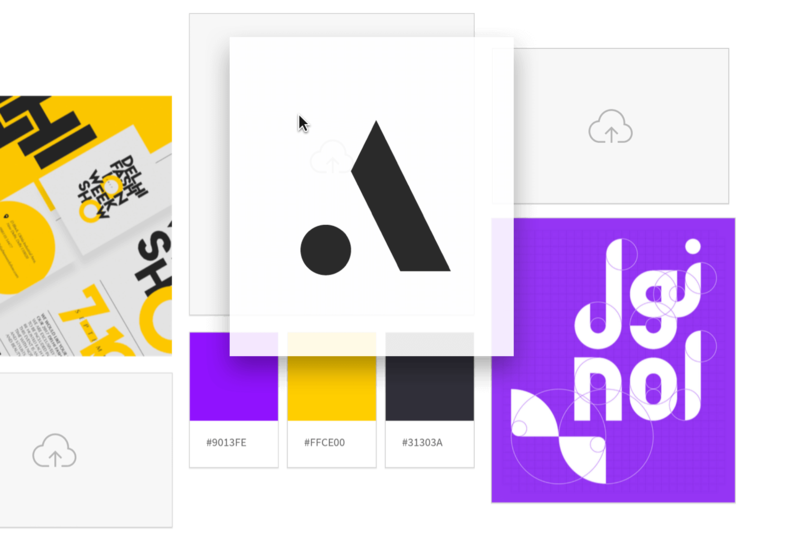 Milanote lets you create a beautiful, shareable moodboard in minutes. A moodboard (or mood board) is the perfect way to set the visual direction for a creative project. Designers, illustrators, photographers, filmmakers and all types of creative professionals create moodboards as a free-form way to communicate the "feel" of an idea. But moodboards have come a long way from the days of attaching printed images to physical boards. Modern digital moodboards are dynamic, flexible and shareable, unlocking a whole new world of creative possibilities. Create a moodboard in Milanote. The right images can break or make a moodboard, and finding them is half of the job. That's why Milanote integrates with Unsplash to give you instant access to a huge library of free professional photos to drag and drop into your boards. Search by keyword or choose from images that are automatically recommended based on the content of your boards. 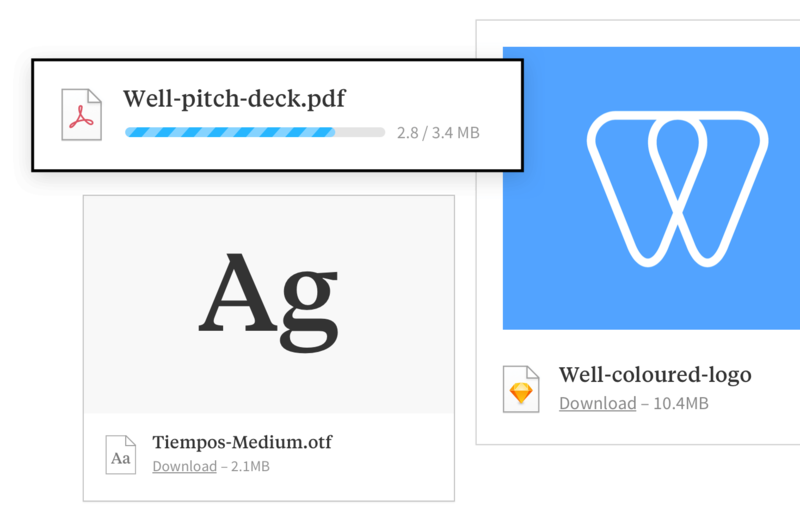 Upload your own images with Milanote's simple drag and drop interface. Supports all common image formats including JPG, PNG, GIF, SVG and many more. Getting content into Milanote is easy—just drag or paste any image (or website) into your boards. But to make it even easier, you can install the Milanote Web Clipper to instantly save images, videos or links to your boards from any website you visit. 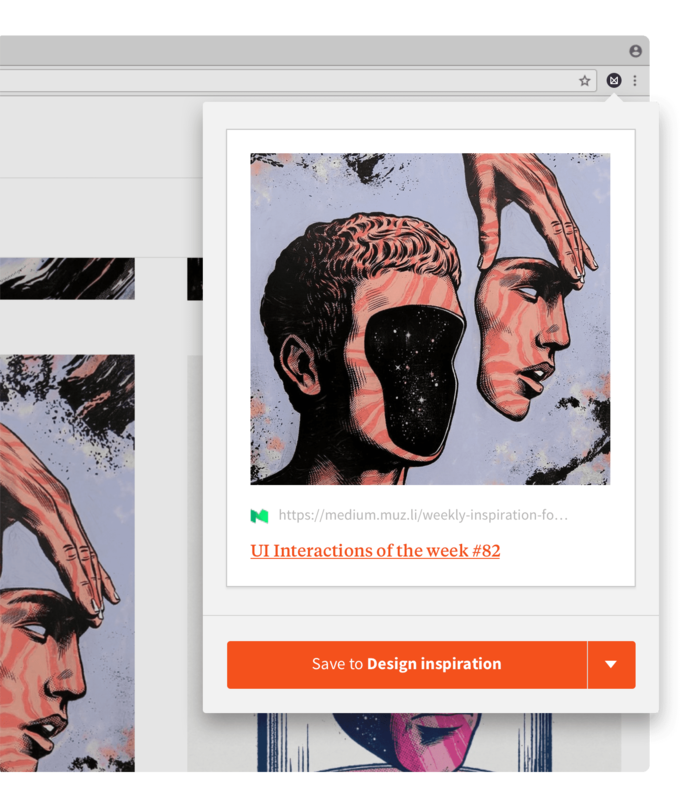 One-click interface lets you save inspiration in seconds. Supports saving of images, links, videos and text. 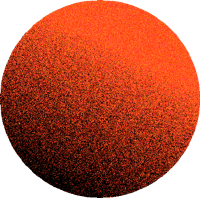 Rated 4.8 out of 5 stars on the Google Chrome store! The web clipper is an essential companion to the stellar Milanote application. 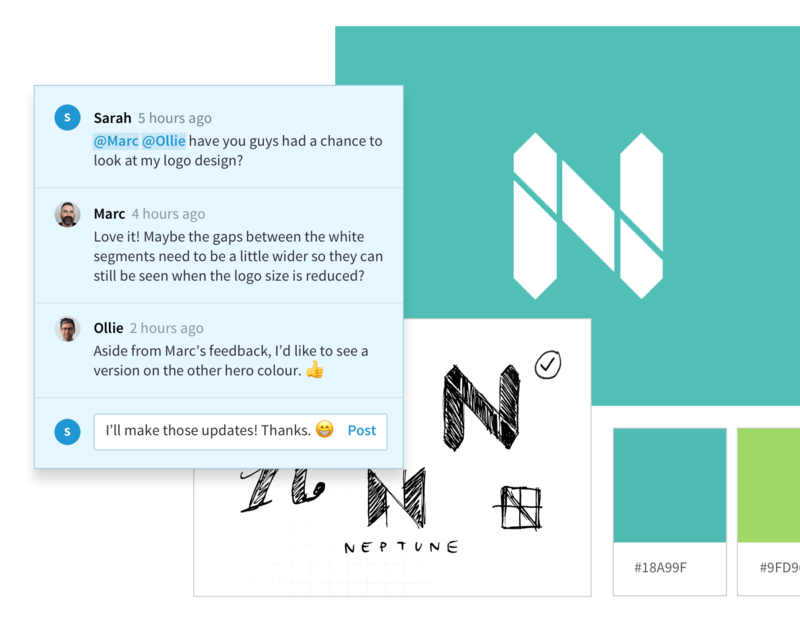 It makes adding images, text and rendered links to your boards almost effortless. Moodboards don't have to be static any more, and the best ones are so much more than just images. 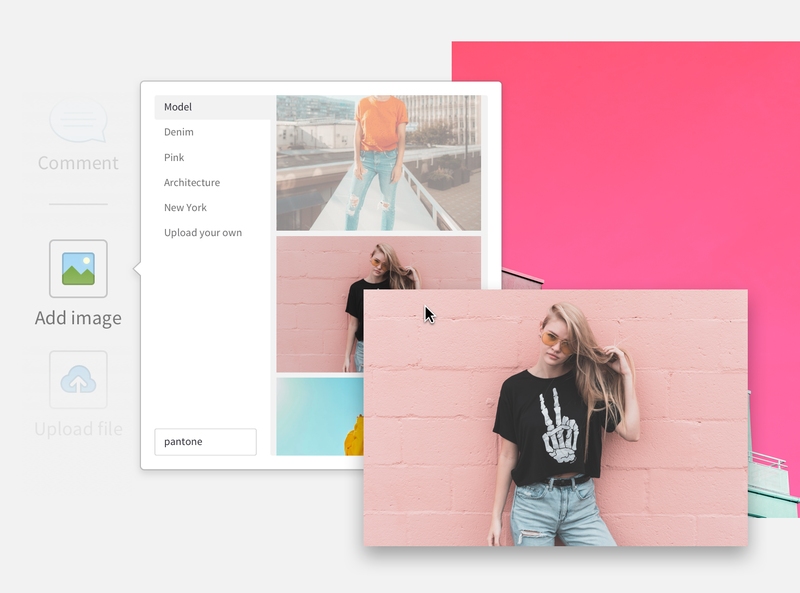 With Milanote you can easily add videos, animated GIFs, colour swatches, PDFs, design files, fonts and more when you create a mood board. Drag and drop files from any folder on your computer. Use built in text notes to add descriptions or explain your thinking. Once you've got the right inspiration, the next step is creating the perfect composition. Milanote boards don't have any restrictions—you can create arrange things any way you like. But if you want to save time, you can use one of Milanote's dozens of built in templates to give your boards the perfect layout. Choose from dozens of different built-in templates. Create custom templates to save your favourite layouts. 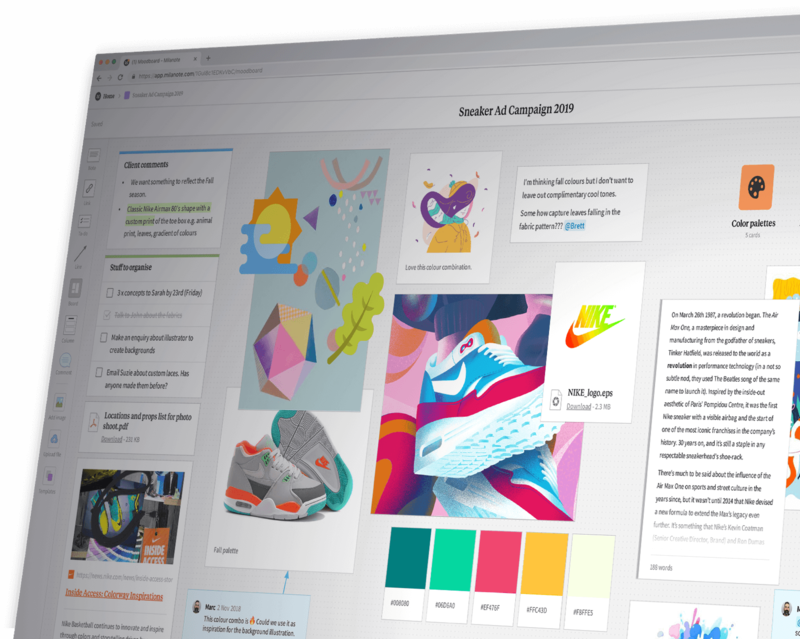 Whether you're creating a moodboard with other people or you need to get someones approval, Milanote's built in commenting, sharing and notifications make collaboration easy. You're in total control of who can edit, comment or give feedback on your boards (all boards are private by default). Share a secret link to any board (no signup required to view). Download a high quality printable PDF of any board.